Sometimes as homeowners try to dig themselves out of debt and avoid foreclosure, they seek the services of mortgage assistance companies or firms which advertise that they can help the homeowner. Unfortunately, as the homeowner soon discovers, these companies are out to take advantage of the homeowner and take whatever money they can before the lender forecloses on the home anyway. There are several ways in which a homeowner facing foreclosure can be scammed by scam artists. In one way, homeowners are convinced that the mortgage assistance company can work directly with the lender to get the homeowner the relief he needs to avoid foreclosure. This offer is not in itself the scam because there are legitimate organizations that can work directly with lenders to save a homeowner from foreclosure. A homeowner can also hire a reputable attorney to assist with this kind of negotiation. The offer to work with a lender becomes a scam when the homeowner is required to pay fees upfront before he receives any relief. Generally, mortgage assistance companies are not allowed to collect fees up front in order to assist with these kinds of services, and the homeowner must first receive relief before they can collect fees. Homeowners may lose thousands of dollars in this scam and still lose their homes because the mortgage assistance company does little to keep the foreclosure from proceeding. In other variations of the mortgage assistance scam, the homeowner may be asked to make mortgage payments directly to the mortgage assistance company that claims to be negotiating with the lender. Unfortunately, instead of making any agreed upon payments to the lender, the mortgage assistance scammers keep the money for themselves, and by the time the homeowner realizes what is happening, the lender has foreclosed on the home. There are other equity skimming scams that may be aimed at homeowners who are looking for ways to avoid foreclosure. One such scam is a rent to own scam, where the homeowner agrees to sign over the deed to the house to a mortgage assistance company or an individual who the homeowner assumes will continue making payments on the mortgage. In return, the homeowner becomes a renter in the home, paying a lower amount in rent than the mortgage payments, and eventually gets the deed back. Unfortunately, the signing over of the deed does not mean that the homeowner no longer has an obligation to pay the loan back to the lender, especially when no money is exchanged. The homeowner is not selling the home to pay the lender; therefore, the lender can still foreclosure on the home, and require the homeowner to pay the balance of the loan amount, which is called a deficiency. The scammer walks away with the rent money and the homeowner is no better off. There are legitimate ways to challenge a lender’s attempt to foreclose on a home, including mortgage assistance programs that aim to help homeowners without asking for any upfront fee payments. However, the homeowner may also have legal defenses to the foreclosure action that could stop the foreclosure proceedings and keep the homeowner from losing his home. 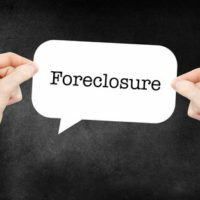 For more information on foreclosure defenses in Pennsylvania, contact us at the law firm of Louis S. Schwartz at CONSUMERLAWPA.com to speak to a Philadelphia foreclosure defense attorney.